¡Vamos a Cantar! is available in two editions: KS2 or KS3. The only difference is the cover (to enable matching with other books from the same series), the contents are the same. ¡Vamos a Cantar! 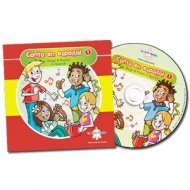 book and CD set contains 20 easy-to-learn Spanish songs written specifically to help children to learn Spanish. They are linked to the QCA schemes of work for modern foreign languages at Key Stage 2, and are suitable for beginners from 7 - 14 years old. The accompanying book contains teachers' notes with ideas on how to introduce, use and extend the songs, photocopiable illustrated song sheets, photocopiable music sheets and English translations of all the songs. It is a suitable resource for a non-specialist teacher. ¡ Vamos a Cantar ! 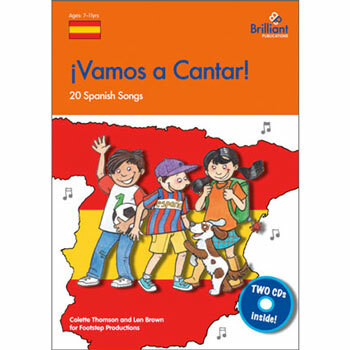 has been developed for use with children aged 7 - 14 years (Key Stages 2 and 3) who are beginners to the Spanish language. When ordering this book, you can select from two different versions; Key Stage 2 or Key Stage 3. 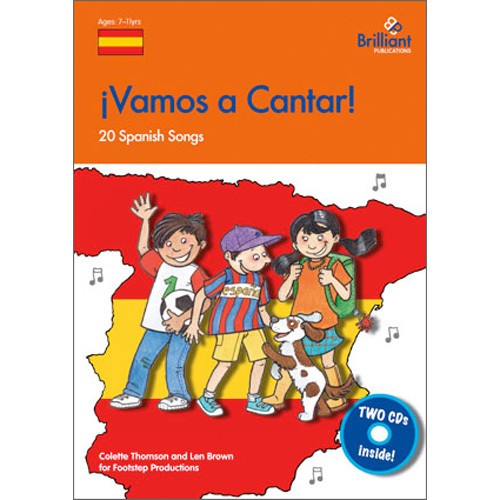 The songs and book contents are identical and are suitable for cross-phase use through KS2 and KS3 (7-14 years). The two versions exist simply to allow for colour-matching with other books from the same series (orange covers are used for KS2 resources and green for KS3). 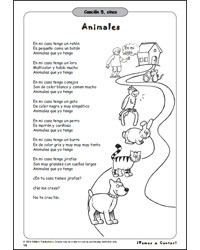 Click on the image below to download a sample page from ¡Vamos a Cantar!.